Living more ethically is a hot topic in the blogging world at the moment. And for good reason, right? 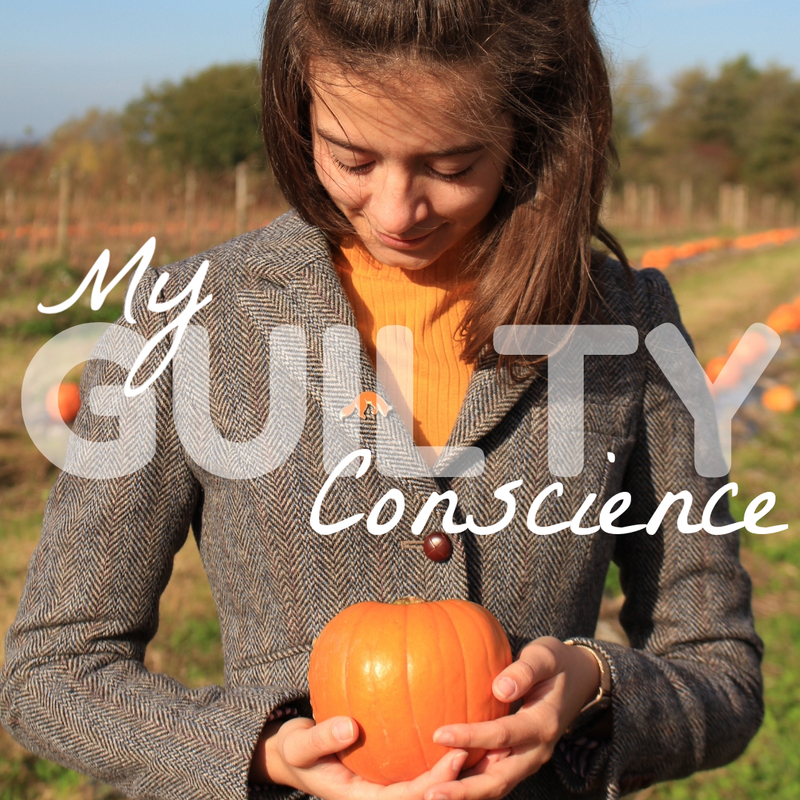 Stacey Dooley's documentary on the impact of fast fashion has encouraged many people to rethink their buying choices, Instagram-happy pumpkin pickers across the country have been encouraged to be less wasteful when carving up their Jack-o-lantern chums, and influencers left, right and centre are spurning our formerly beloved Mrs Hinch for her use of chemical-heavy cleaning products. But lately it feels like every time I log on to social media (and that's A LOT by the way), there is someone talking about a new ethical issue that I hadn't even come across before. With that comes a lot of guilt. It seems like every decision you make in life results in someone or something suffering, which has lead me to the following conclusion. Living 100% ethically isn't possible. That doesn't mean that we shouldn't try. I found myself racked with guilt the other day after seeing a pictures shared on Twitter of marine life being washed up on a shore with their bellies filled with single-use plastic, menstrual hygiene products, and the like. I wanted to cry thinking that in my lifetime, I've contributed so much plastic waste to the oceans that will still be floating around out there long after I've gone. But instead of letting these negative feelings overwhelm me, I have come to realise that I can't save the world on all accounts. I have decided to focus on the things that I *have* done to reduce my waste and my environmental impact. I've picked the environmental causes that I can reasonably help with in my day to day life, making choices that I'm proud of. If you feel that guilt niggling away at you as well, my advice is this: Pick a corner to fight, accept the fact that you can't do everything, do what you can guilt-free, and encourage others to do what you can't. After all, it's better for your mental health. What I can (and can't) do. Any regular readers of my blog will remember that at the start of this year, I undertook the veganuary challenge and I really loved it. I managed the first month with ease and continued into the spring of 2018. However, I started experiencing some health-related issues a little while down the line. I'll spare you the gory details but in the end, I was advised by a health professional not to continue with veganism for the sake of my wellbeing. I still feel terrible about this but I remain to this day a vegetarian. And I still make a lot of vegan choices. I never buy milk or yoghurts made from animal products and my freezer is still packed with my all time fave Linda McCartney vegan sausages. Being vegetarian and making vegan choices where I can still makes a huge difference and I'm a proud veggie. As a student, money isn't something that grows on trees for me. And while I would love to shop 100% ethically when it comes to clothing, sometimes the prices make impossible. Instead of focusing on this negative, I am redoubling my commitment to shop second hand at charity shops and on sites like eBay. I'm also looking into re-usable menstrual products such as period pants which I'll be adding to my Christmas list this year as a waste reducing measure. Food waste has always been close to my heart - I absolutely hate it when people waste food. I made a real effort when carving my Halloween pumpkin (which I picked up when these photos were taken) that as little went to waste as possible. I toasted the seeds for putting onto museli and made a pumpkin and sweet potato curry from the pumpkin innards. I'm going to keep this commitment going strong. "We can only do our best, and rather than feel bad for all the areas in which we are failing, let’s celebrate the areas in which we are quite literally saving the world." What about you? Have you experienced this guilt? What small steps are you taking to save the world?